I realized sometime last week that I had two weekends in which to get my project for color class done AND get the house ready for my Mom to visit (hopefully) in the first week in February, as I will be on business travel one of the remaining weekends in January. So I got busy on Saturday and bought some more fabric, needed some blue-green and some red-orange. February’s project is an analgous quilt – a run of colors that are next to each other on the color wheel, but only including ONE primary color. My color run is red-orange, orange, yellow-orange, yellow, yellow-green, green, blue-green. I am using one of the designs I developed in the Quick Design class I took last week, but with different colors. For some reason I could not get motivated to actually get to cutting things out on Saturday, but I got all my fabrics organized, and then cut pieces and got them ready to fuse/applique. 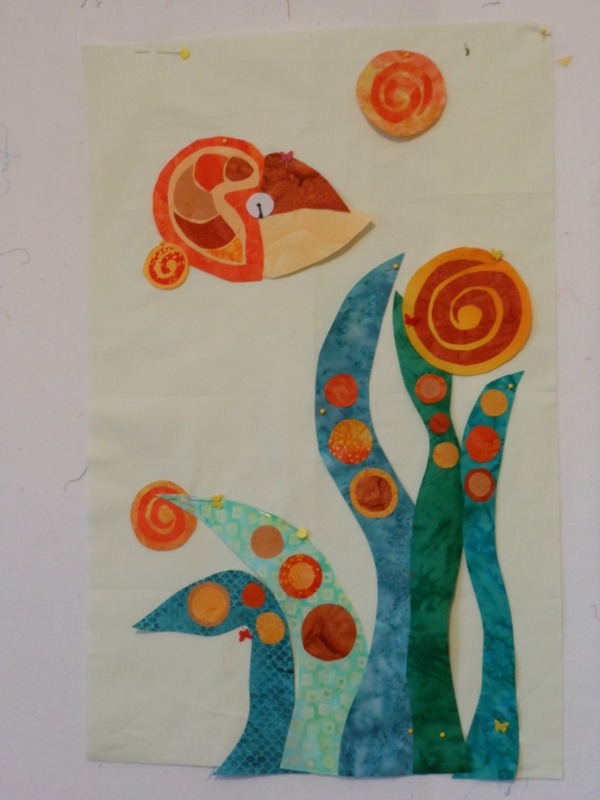 Various parts of the wall hanging went through several iterations as I went along. I am going to email it to my teacher and see if she has any suggestions on the binding. So next weekend I just have to get it all fused down (the small things are fused down to the larger pieces already) and quilt it. This is the first piece that I have come up with in my own head and designed on my own. I am not sure it is art but I like it. I was gone a few nights this last week for work so I made one of Ken’s favorites: Enchilada Casserole. This may rightfully be called Burrito Casserole, but I made this up at least 15 years ago and that is what we have always called it. It gets a little spattery in the oven. Brown the ground beef. Drain the fat. Add the taco seasoning and the water, re-heat until most of the water has boiled off. 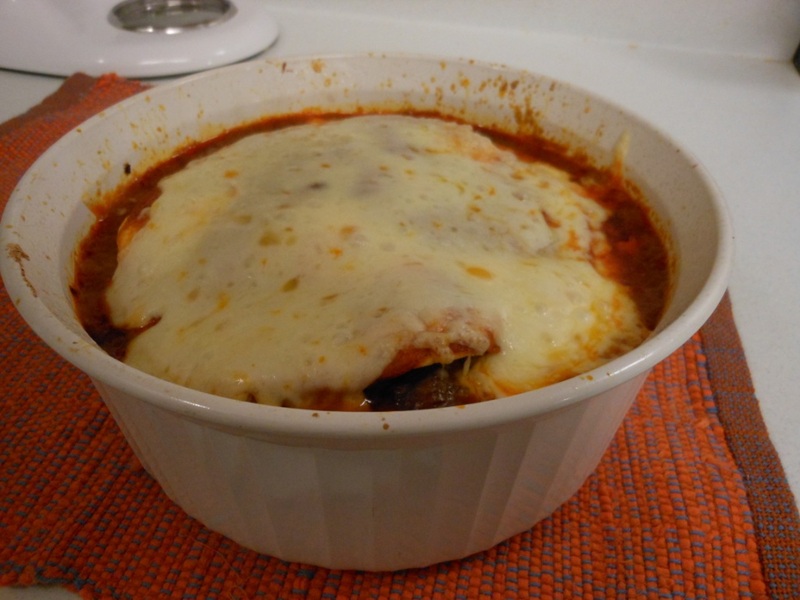 In a straight sided casserole dish (or wing it, whatever) start layering like lasagna: meat, tortilla, beans, ench. 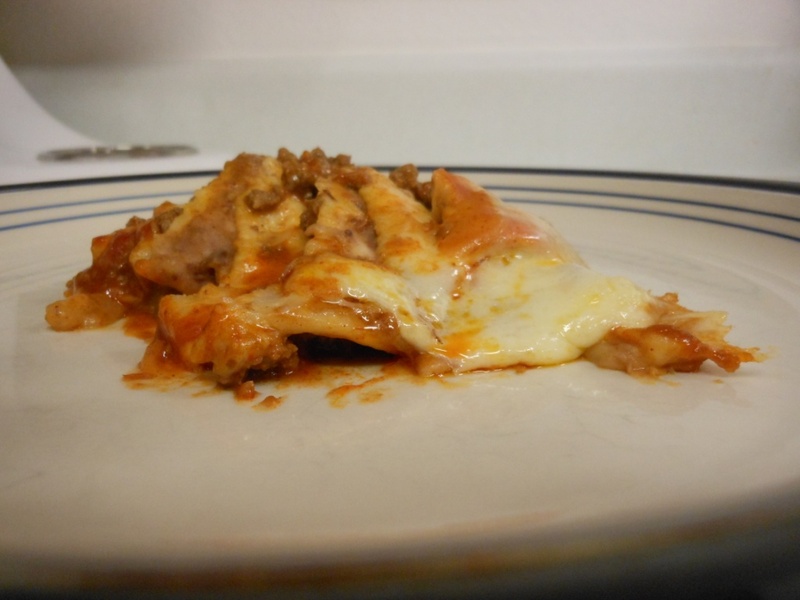 Sauce, tortilla, meat, cheese, until you run out of ingredients. Make sure you have some sauce for the very top. Save some cheese to put on after it has mostly baked to melt on top. Bake 45 minutes at 350°. Put more cheese on top, put back in oven until cheese melts. Let sit a few minutes before serving, as the refried beans are like molten lava. Serve w/tortilla chips if desired. You can use as hot as enchilada sauce as you want, or add shrimp to the meat, or add jalapenos. Ken likes it like this. It is even better as leftovers. This entry was posted in Cooking, Quilting by glenderella. Bookmark the permalink. Corn tortillas or wheat tortillas? Or does it matter? I have recently been introduced to the wonders of canned enchilada sauce and am totally in love.